Guests will enjoy a hosted cocktail reception, wine tastings, dinner, and live entertainment (Men in Black - Awarded Boston’s A-List Band). 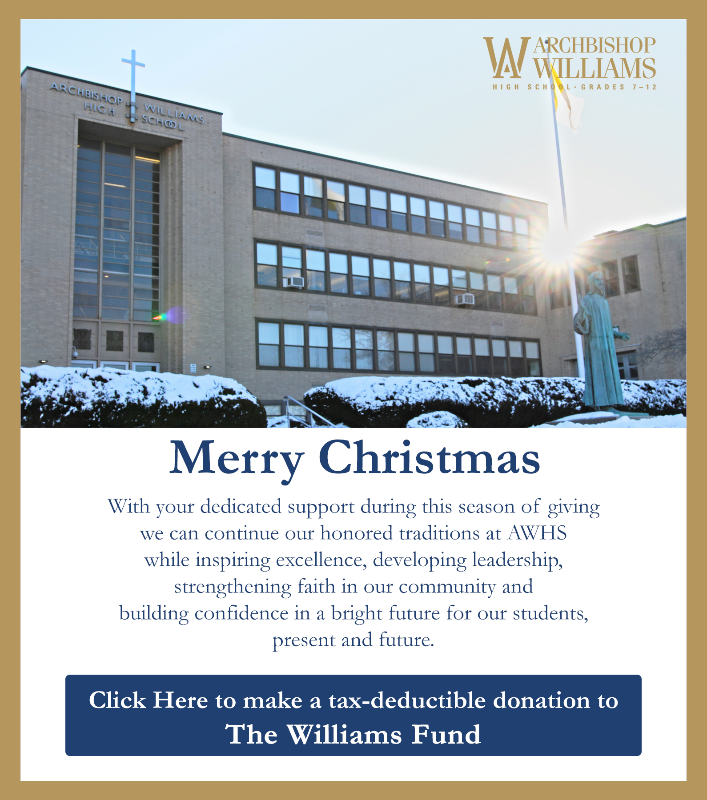 All proceeds from the night will directly benefit The Williams Fund at Archbishop Williams. Click here for more information. Archbishop Williams High School would like to invite the grandparents of all AWHS students to join us for Grandparents Day. We embrace families and know the important roles grandparents play in the lives of our students. To celebrate, we will be hosting this event on Thursday, November 1, 2018 at Archbishop Williams High School. is is a great way for students and grandparents to spend some time together, and for students to showcase AWHS and all the terrific things that are happening here! The AWHS Administration and Parent Support Board is pleased to invite everyone in our community to the AWHS Amphitheater for our fourth annual Back to School Barbecue on Wednesday, Aug. 29 from 5:30-7:30. This is a great opportunity for new students and families to meet each other and for returning families to re-connect. We hope everyone can attend.